Since half a century, the Clouet family has been a very productive and now well-recognized family of winemakers in Bouzy. 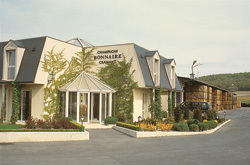 Owner of the Paul Clouet estate, Marie-Thérése Clouet-Bonnaire has put all her trust in her husband Jean-Louis Bonnaire, a well-known winemaker in Cramant, for the elaboration of her wines. 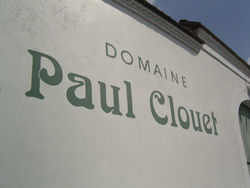 Paul Clouet is an independent wine producer. As a Récoltant-manipulant (RM), Paul Clouet guarantees a continuity in the style of their wines by being able to follow each step of the champagne elaboration from wine growing to wine making. Paul Clouet offers first place to the Grands Crus. The grapes used in the production of the Paul Clouet cuvées mainly come from Grands Crus villages of Champagne: Bouzy (for the Pinot noir) and Chouilly (for the Chardonnay). Inside the estate, Les Barbotines also offers a very charming reception room decorated with taste in the old cellar of this late XIXth century house. The room can fit 70 places, making it a very unusual place for private events such as tastings, birthdays, banquets but also work conferences and seminars. To know more about the Celliers du Domaine, click here. On the road to Champagne.. If you stop by Bouzy, we will have the pleasure to make you discover our champagnes Bonnaire and Paul Clouet, two brands of champagnes elaborated by the same family by Marie-Thérèse husband, Jean-Louis Bonnaire in its cellar in Cramant. Paul Clouet house elaborates its wines with a predominance of Pinot Noir, king variety of grape in Bouzy, where the vineyard is located while Bonnaire house is more famous for its fine Blanc de Blancs (100% Chardonnay) from the famous region close to Epernay, the Côte des Blancs. By appointement, we can organise a cellar visit in our estate in Cramant.